The New Orleans Hornets have officially announced that they will be changing their name to the New Orleans Pelicans as of the 2013/2014 season. They also unveiled their new primary logo, partial logo and three secondary logos, which confirmed that the previously leaked design was indeed accurate. In the wake of their name change, it’s being reported that the Charlotte Bobcats are making inquiries about purchasing the Hornets’ name, though nothing is imminent. With the sale of the Sacramento Kings, who will likely become defunct to resurrect the Seattle Supersonics, the Hornets becoming the Pelicans and the Bobcats possibly becoming the Hornets, it’s certainly an interesting time in the NBA. What are your thoughts? Sound off in the comments below and join in the discussion here in the NBA & Basketball Talk section of the Forum! Welcome to another edition of The Friday Five! This is a new feature that comes your way every Friday, discussing five items of interest in list or countdown format, with topics covering basketball video games, the real NBA and other subjects that are relevant to our community. 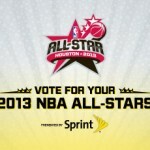 With the NBA’s announcement of the starters for the 2013 NBA All-Star Game in Houston, reactions to the selections naturally raise questions about the concept of fan voting. Some fans don’t see a problem with it, while others don’t think it’s the right approach at all. For my part, I’m still in favour of fans being able to select the starting lineups and as such, here are five arguments in defense of fan voting for the All-Star Game. The NBA has announced the starters for the 62nd annual NBA All-Star Game, which will be played in Houston, Texas on Sunday, February 17th 2013. Kobe Bryant, the top vote-getter, will be starting for the West in his record 15th consecutive appearance, where he will be joined in the backcourt by Chris Paul. Dwight Howard, Blake Griffin and Kevin Durant will be the West’s starting frontcourt. LeBron James, who finished second in voting to Kobe Bryant, will be starting in the frontcourt for the East alongside Kevin Garnett and Carmelo Anthony. Rajon Rondo and Dwyane Wade were voted in as the East’s starting backcourt. What do you think of the selections? Have your say in the comments below, as well as in this thread in the NLSC Forum. The 2012/2013 season is underway! Isn’t it nice to have the regular season start on time? We’re hopefully in for a great year of basketball and you can join in all of the discussion of the real NBA in the NBA & Basketball Talk section of the NLSC Forum. To begin with, you can post your predictions for the 2013 season in this thread and join in the daily predictions game here. 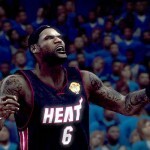 Speaking of predictions, 2K Sports has posted their official simulation of the 2012/2013 season using NBA 2K13, examining the top storylines in the league this year and posting the game’s picks for the 2013 NBA Champions and the season’s award winners. 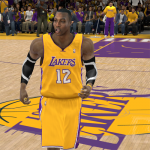 Check it out and add your thoughts in the comments below, as well as in this thread in the NBA 2K13 section of the Forum. It appears as though NBA Live 10 cover player is headed to the Los Angeles Lakers in a four team trade that is expected to be finalised tomorrow. After much speculation, Howard will depart Orlando for Los Angeles along with Earl Clark and Chris Duhon while Andrew Bynum will be sent to the Philadelphia 76ers, who will also receive Jason Richardson from the Magic. The 76ers will trade Andre Iguodala, currently competing for Team USA in London, to the Denver Nuggets, who will in turn trade Arron Afflalo and Al Harrington to the Magic. The Magic will also receive Nikola Vucevic and Moe Harkless from the 76ers and are picking up three future first round picks and a second round pick in 2013 in the deal. 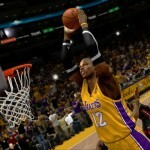 In addition to shaking up the NBA landscape and making the Lakers one of the favourites to come out of the West this season, it has also set them up to be one of the most frequently used teams in NBA video games this year, as they now boast a formidable starting five of Kobe Bryant, Steve Nash, Metta World Peace, Pau Gasol and Dwight Howard. What do you think of the trade? Add your comments below and join in the discussion here in our NBA & Basketball Talk section! 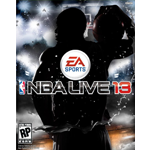 The announcement of the cover player for NBA Live 13 can’t be too far away, along with more information on this year’s game, so we’ve got a new poll question for everyone: Who do you think will be on the cover of NBA Live 13? Cast your vote, post your pick in the comments below and join in the discussion here in the NLSC Forum! Our last poll asked How do you rate the 2011/2012 NBA season? Despite the delayed start and uneven play caused by last year’s lockout, it seems most people still enjoyed the 2012 season with 37% calling it excellent, while a further 31% opined that it was good. 19% felt it was just alright, while only 7% deemed it not great and 6% didn’t enjoy it at all, declaring it terrible. Be sure to join in all the offseason chatter in our NBA & Basketball Talk section. 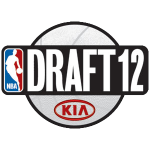 The 2012 NBA Draft is in the books! As expected, the New Orleans Hornets selected Anthony Davis out of Kentucky with the first overall pick, while the Charlotte Bobcats took his college teammate Michael Kidd-Gilchrist second overall. The Washington Wizards picked up Bradley Beal at number three, with Dion Waiters going to the Cleveland Cavaliers at four and Thomas Robinson joining the Sacramento Kings at five. You can check out the entire Draft Board here over on NBA.com. What are your thoughts on the Draft? How did your favourite team perform? What were the most surprising picks? Post your thoughts in the comments below and sound off in this thread in the NBA & Basketball Talk section of the NLSC Forum! Congratulations to the Miami Heat, the 2012 NBA Champions! The Heat wrapped up their second NBA Championship with a 121-106 win over the Oklahoma City Thunder in Game 5, capping off an exciting and at times controversial NBA Finals series. Not surprisingly, LeBron James was named the Finals MVP after posting averages of 28.6 ppg, 10.2 rpg and 7.4 apg, topped off by a triple double in Game 5 with 26 points, 11 rebounds and 13 assists. What did you think of the 2012 NBA Finals? Have your say below in the comments, as well as this thread in the NBA & Basketball Talk section of the NLSC Forum. With the Miami Heat’s victory in Game 5 sealing the NBA Championship, the 2012 season is officially in the books. How do you rate the lockout-abbreviated 2011/2012 season? Cast your vote in our new poll! Our last poll asked “Who will win the 2012 NBA Championship?”. 46% of voters picked the Heat to win it all, though the Oklahoma City Thunder garnered as much as 60% of the vote before the series began. Discuss the 2012 season, the Finals, the upcoming Draft and more in the NBA & Basketball Talk section of our Forum. ESPN.com has teamed up with 2K Sports to deliver a simulation of the 2012 NBA Finals, which is set to tip off shortly with Game 1 in Oklahoma City. The simulation predicts a back and forth series, with the Thunder ultimately prevailing in an epic seventh game. How do you think the series will go down? Comment below, cast your vote in our current poll and join in the discussion in the NBA & Basketball Talk section of the NLSC Forum! After an impressive victory in Game 7 of the Eastern Conference Finals, the Miami Heat have punched their ticket to the NBA Finals where they will meet the Oklahoma City Thunder. Who is your pick to win the championship this year? How do you think it will go down? Cast your vote in our new poll, leave your thoughts in the comments below and join in the discussion here in the NLSC Forum! Our previous poll asked whether the cover player influenced your decision to buy basketball video games. Not surprisingly, a majority of voters indicated that the cover player has no impact on their decision, though quite a few others opined that it does make a difference for them, as the final tally stood at 74% for No, 26% for yes. 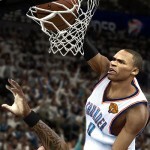 2012 NBA Playoffs underway; join the discussion in the NLSC Forum! The 2012 NBA Playoffs are officially underway as the postseason has tipped off with four games. Unfortunately it’s been an inauspicious start for Chicago Bulls fans like myself, with Derrick Rose set to miss the rest of the Playoffs after suffering a torn ACL. We invite you to join in the discussion of the 2012 NBA Playoffs in the NBA & Basketball Talk section of the NLSC Forum, where you’ll find dedicated threads for each of the first round series. Post your predictions, your thoughts on games as you watch them live and much more. Registering in the NLSC Forum is quick, free and easy; don’t forget that your Forum account can also be used to post comments on news articles, as well as rate files in our Downloads section. The NBA trade deadline came and went at 3 PM today, but not before several players changed places. Nene, JaVale McGee, Nick Young, Gerald Wallace, Derek Fisher, Ramon Sessions, Stephen Jackson, Richard Jefferson, Marcus Camby and Leandro Barbosa were among the players dealt at the deadline, following the trade that saw Andrew Bogut and Monta Ellis swap places earlier in the week. Dwight Howard meanwhile opted in to the final year of his contract, putting an end to the speculation that he would be traded, at least until the offseason. What are your thoughts on all the deals that went down? 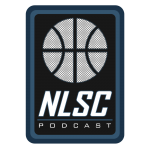 Have your say in the NBA & Basketball Talk section of the NLSC Forum!